Firebird’s! Finally, a steakhouse :) I hope you guys aren’t starting to think that I don’t like steak or something. 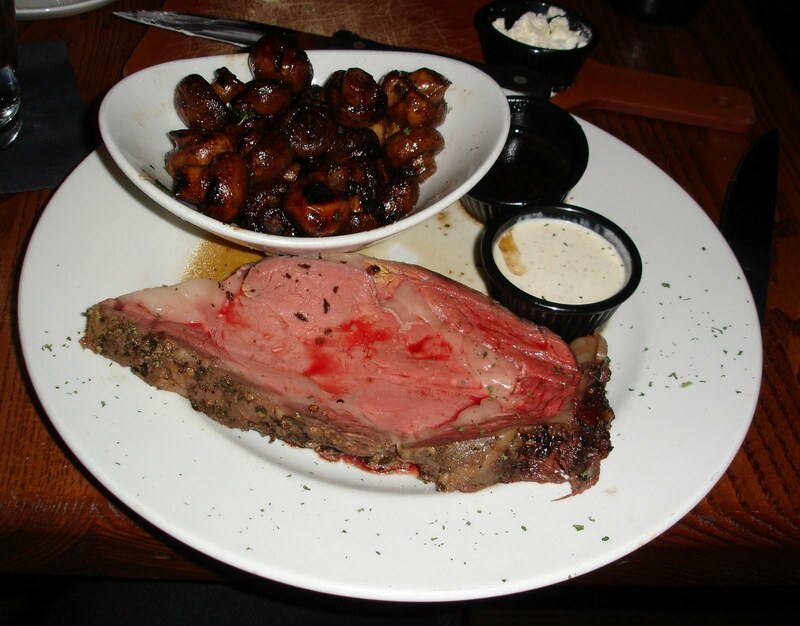 There are many things on the menu, but as I’ve been here a couple of times before, I’ll just tell you this: if you’re here for steak (and you should be), get the prime rib. 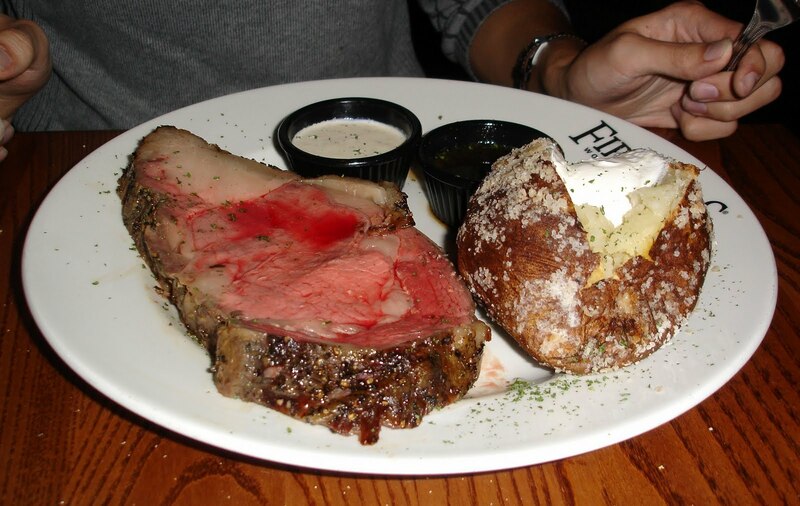 Herb-crusted, rubbed with black peppers, oven-roasted to medium-rare perfection – pictured below. Top photo is my 10-oz, and bottom is the dinner date’s 16-oz. As you notice, the difference is in the thickness of the cuts, so as you might be able to imagine, the thicker 16oz cut is better. The steak is served au jus and with a light horseradish sauce. I prefer the au jus, but the horseradish also goes pretty well, too. It’s not so overwhelming that it covers up the taste of the steak, yet it provides enough flavor. A bit too creamy for me, though, I think. There is an assortment of sides, although the default is a Colorado baked potato. I chose sauteed mushrooms, which were very delicious, although the flavors were just a bit too much for me towards the end of the meal.